State and Federal agencies are seeking public input on how to restore North Carolina’s largest natural lake. Jared Brumbaugh has more. In 2016, Lake Mattamuskeet was listed as an impaired waterbody by the North Carolina Department of Environmental Quality. Erin Fleckenstein, coastal scientist with the North Carolina Coastal Federation said they’ve been working with the North Carolina Wildlife Resources Commission, the U.S. 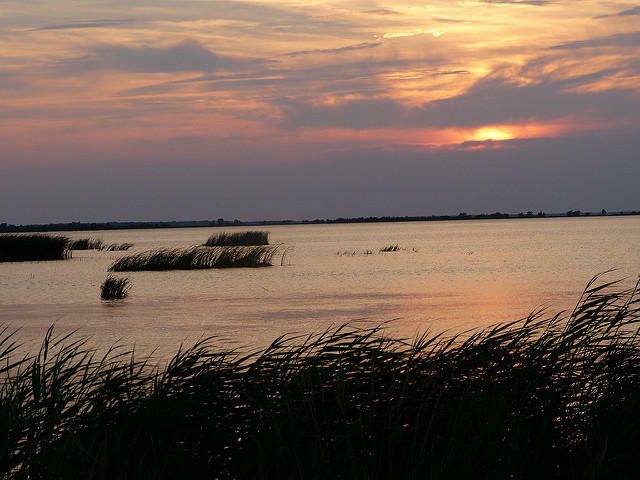 Fish and Wildlife Service and Hyde County to develop a watershed restoration plan for Lake Mattamuskeet. Test results have consistently shown above normal pH and chlorophyll a levels, which have led to toxic algal blooms. Aquatic grasses, which support fish and crab habitat and provide food for waterfowl, have disappeared from the lakebed. And land around the lake is flooding more frequently and for longer stretches of time. Fleckenstein added rising sea levels and silting in the canals have resulted in a poorly functioning drainage system. On May 8th, residents had the chance to learn more about the restoration project and provide input. Other public meetings are planned for July 10th and September 8th at the Hyde County Government Complex in Swan Quarter.